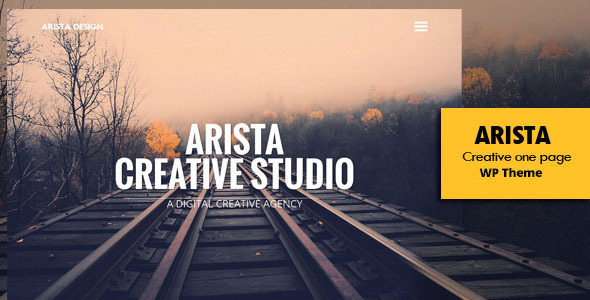 Arista – is clean one page responsive wp theme. It is great, professional and easy to use template. You can use it for Photo Studio, Freelancers, Portfolio Theme, Creative Agency etc. Includes 3 stunning home variants to choose from. By purchasing our theme you receive a professional 24/7 support. Our team will gladly respond to your conncerns as soon as possible, and help you out if you need a customization. This entry was posted in creative, portfolio, wordpress and tagged business, creative, one page, portfolio, singlepage, wp theme by Acty. Bookmark the permalink.